We promise it’s not as scary as it sounds. You may recognize this key ingredient from your favorite skin-care serums. One of our favorites? Youth To The People’s Superfood Air-Whip Moisture Cream, which combines hyaluronic acid with antioxidant-rich superfoods for a powerful moisturizer that restores and balances skin. “Our vegan form of hyaluronic acid boosts skin health, improves the overall look of skin, and adds necessary hydration. We love the hyaluronic acid in our product because it’s very effective but doesn’t have any unhealthy side effects or animal byproducts,” share Youth To The People founders Joe Cloyes and Greg Gonzalez. 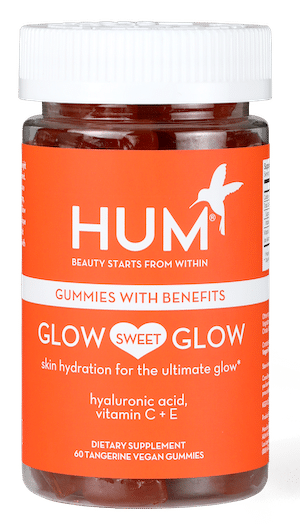 Recently we’ve introduced our own hyaluronic acid skin-care product, Glow Sweet Glow, a vegan gummy that promotes hydration from the inside out. But how does this hydrating miracle ingredient work? We consult with dermatologist Courtney Phillips to learn more. “Hyaluronic acid is a large chain of sugar molecules found throughout the entire body,” Courtney explains. It’s often considered the gold standard of hydration because the naturally occurring molecule can hold up to 1,000 times its weight in water,” she adds. It’s a natural lubricating fluid in eyes, joints, connective tissue, and—you guessed it—skin. How can we tell if we’re deficient? Fine lines and wrinkles may be a sign that you’re low in hyaluronic acid. Exposure to free radicals is something that can especially contribute to hyaluronic-acid depletion. 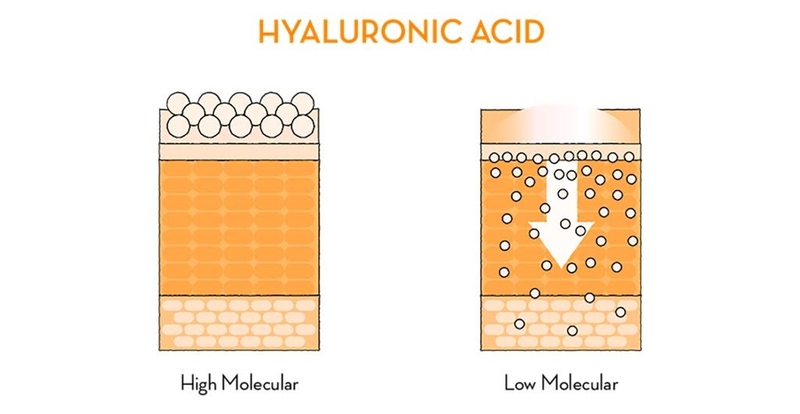 If you get lots of UV exposure, drink alcohol, or are exposed to free radicals in your diet, you might want to consider increasing your hyaluronic acid to help protect against signs of aging. You can increase your hyaluronic intake by applying it topically, injecting a filler, or—for a less invasive inner beauty option—getting more of it in your diet. Acid doesn’t necessarily sound like the most ingestible substance, but rest assured, this kind is. That said, it can be hard to find. A high-quality bone broth is one option. For best results, be sure to also eat citrus fruits, which help inhibit the breakdown of HA. Then, of course, you can always supplement. First, decide whether you prefer an animal- or plant-based source. 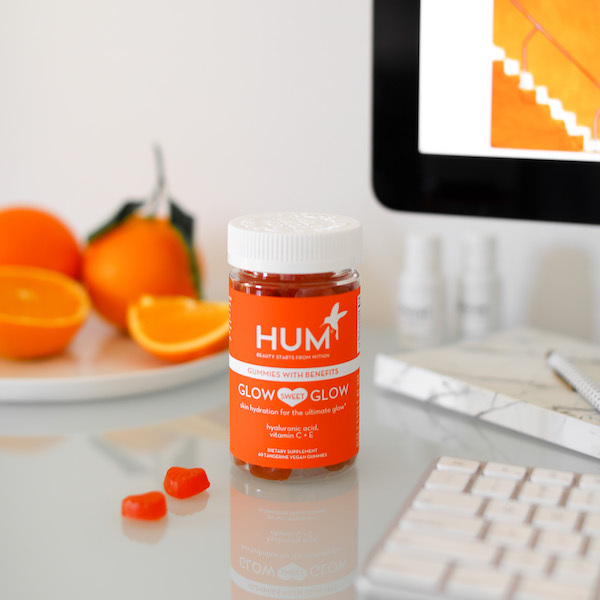 While many HA supplements are derived from chicken combs or collagen, at HUM and Youth To The People, we opt for plant-based sources. Then, it’s important to look for low-molecular HA, which absorbs more readily into the skin than high-molecular HA. 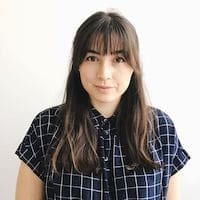 At what age should people start using HA to prevent aging?